I am running what i think to be a pretty good Res team for tier 3 of the mythic event. ZFinn lead, ZBb8, JTR, Res trooper, and Poe. Poe is sitting over 248 speed and gets one turn after the enemy gets 3-4 and bring him down to low health. Is there a squad makeup that im missing or something? Any help is appreciated. Drop jtr for r2. Gives more health to your toons. You just need to survive the opening 15-20 shot barrage that the AI throws at you. Stealth taunt with r2 to protect poe. I use R2 instead of Poe, JTR lead.. got the job done. With Finn as your leader, all you need is to survive the barrage and then you'll just expose train your way to the finish line. What's your gear? It might not be high enough to last. Using Rey as your leader is a little safer since she'll gain TM when your allies get debuffed (which is basically all the time) and Resistance Trooper can use his special under her. I ran: L- g9 zJTR, Finn g11, zBb8 g12, zzR2, Scav Rey g11. Failed twice, tried again hit auto and watched TV and.. 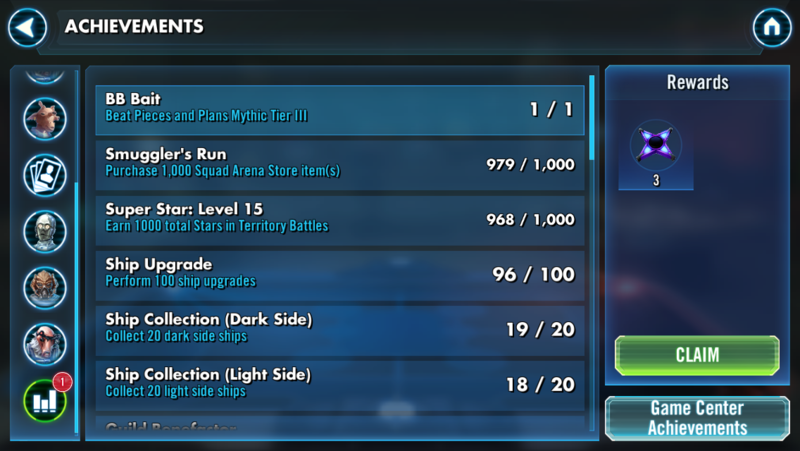 I don't think personally a zFinn lead is gonna cut it. But from your post... you don't have a zJtr lead. Now, I don't have a zFinn lead, but I do have a zJtr lead. I ran zJTR, zBB8, zR2, Scav Rey, and Res Trooper. 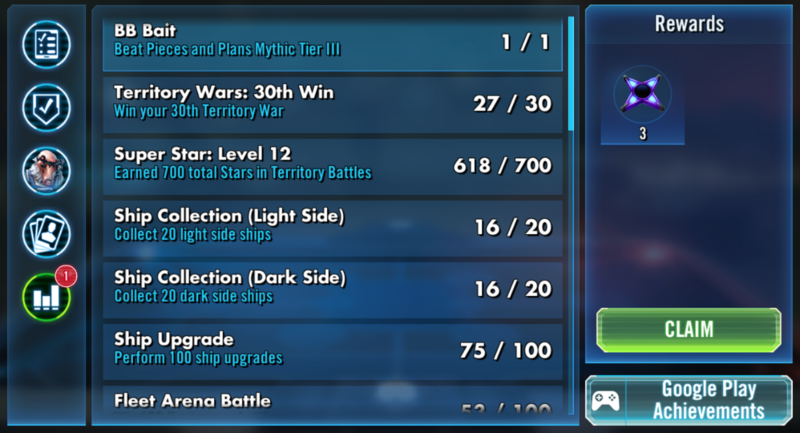 Knocked it out faster than you can say "I just 3 starred tier 3 of the BB8 mythic event." Lol. It was that easy. I use zJtr lead, r2, bb8,rt, and scav rey. Mine are all g12 so I auto it. I would work towards that team since it is also good in p1 of hstr, tw, and tb. You just don't get the same utility out of zeta finn so probably not worth taking to g12. JTR lead, Zr2d2, ZBb8, poe and res trooper. Thanks for the assist everyone! Happy for ya my friend! Glad to be of any assistance. Never underestimate the power of a JTR lead. 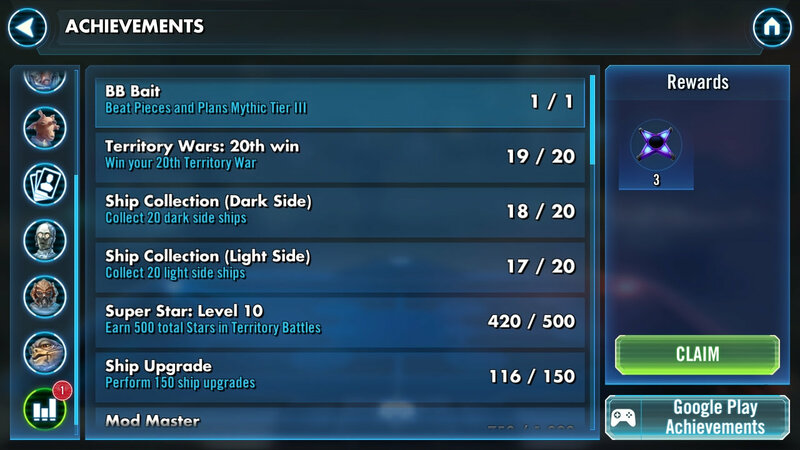 I've got both zfinn and zjtr and we've had this event a few times now at mythic level. I've found Zfinn the much better of the two leads to complete the mythic tier. Thats not to say jtr lead cant win it. It can. But with zfinn all you have to do is survive the opening (be that health/gear/mods/dodges to get there). Once poe taunts and mass exposes its very very easy. With 5 Zetas I'd hope so. Nice not-so-subtle brag post btw. This team did the job too. You just need to wait for BB8s foresight and after it got triggered by any attack Holdo will taunt and keep your team alive till you can start your attacks. Congrats, now get her levelled and geared!